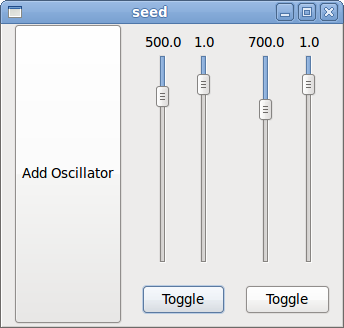 n-oscillator was more or less the first working GTK application; Robb wrote it (who else would be interested in making annoying noises at all hours!?) just to figure out how to get things working... it lets you start an arbitrary number of oscillators and adjust their volume and frequency, and uses GStreamer for output. 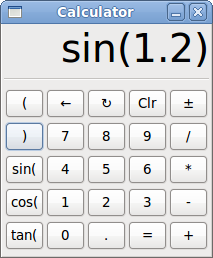 calc was my first GTK+seed application. I wrote it on the train on the way to the Gnome Summit, without any documentation... it's a horrible front-end for eval, nothing else! 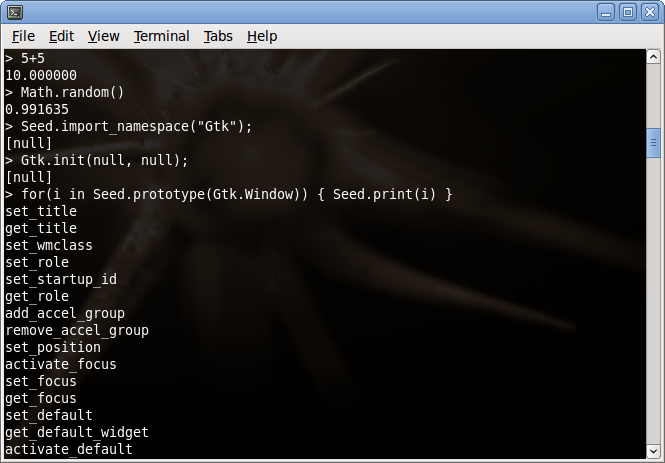 mini-browser is my rewrite of Robb's original WebKit/seed web browser, Spacewhale. 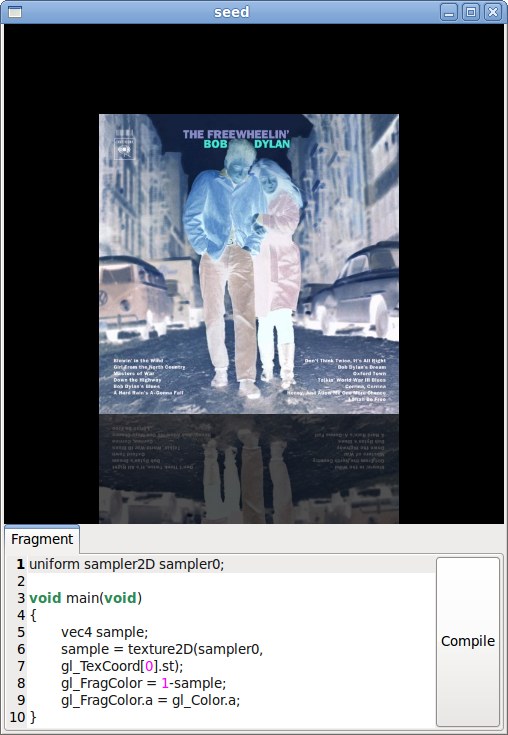 It provides a tabbed interface (though, because of a WebKit bug, no GTK/WebKit-based browser can 'open in new tab/window' at all...), but not much else... I'm planning on revisiting this at some point, and getting it to a state similar to epiphany-webkit. shader is a cute demo Robb wrote that lets you edit GLSL shaders and apply them to an image, using Clutter to display the image and apply the texture. 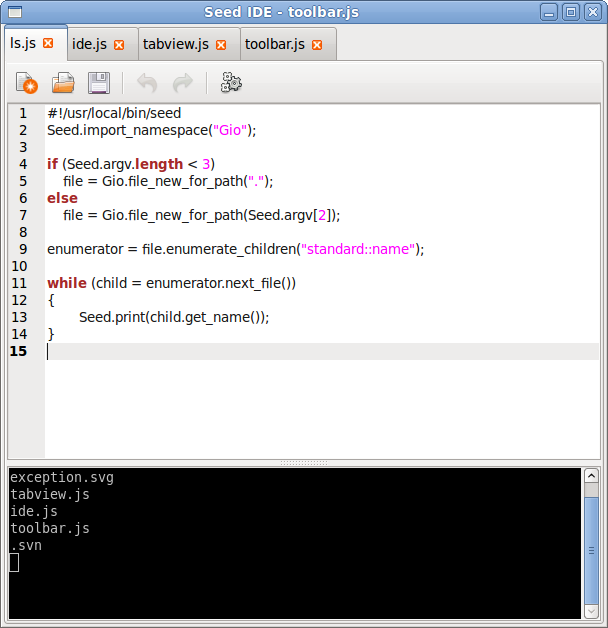 ide is a small Seed editor that I've been writing, eventually providing syntax checking and (maybe) debugging of Seed apps. 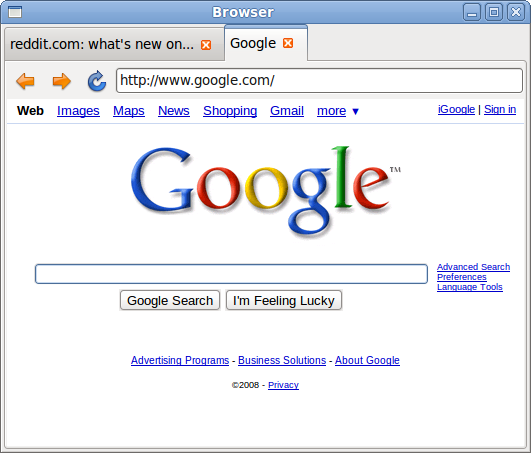 Hi, great the little browser! Is it written in C? 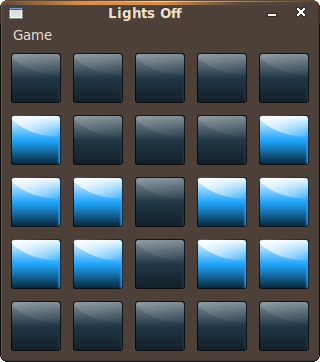 I added the repository for ubuntu intrepid. How can it be fixed? Thanks. the ones provided by your packages.